UG 35, Avior Building, Nirmal Galaxy, LBS Marg, Opp. Johnson & Johnson Co.
UG-35, Avior Building, Nirmal Galaxy, LBS Marg, Opp. Johnson & Johnson Co.
Metamorphosis offers fitness and slimming options, health solutions and diet plans. 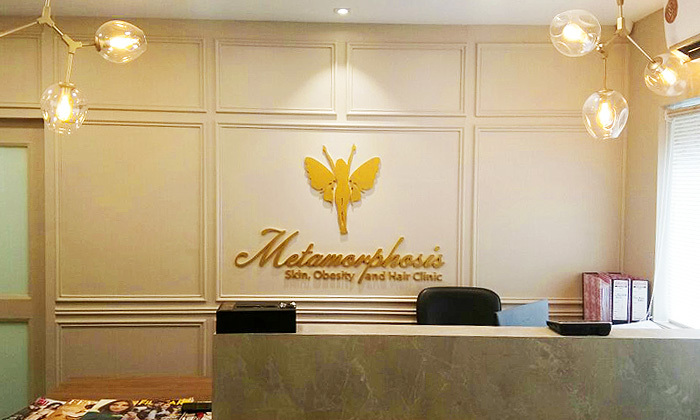 They offer treatments such as laser hair removal, skin rejuvenation, tattoo removal, obesity treatment and hair loss solution. Their staff is highly trained and they assure you a completely satisfying experience.